The central cattle corridor districts of Mubende Sembabule, Kiboga, Luweero, Nakaseke and Nakasongola have received a €4-million (about Sh16 billion) facility to boost water access for livestock. The Water for Production facility was handed over to Government by the funding partners of the European Union Mission to Ugand, Global Climate Change Alliance (GCCA) and Food and Agriculture Organisation (FAO) is expected to strengthen the resilience of rural populations and agricultural production systems in the central part of the cattle corridor. Premised on GCCA’s Agriculture Adaptation to Climate Change in Uganda, the initiative is also expected to build the capacities of communities, commercial farmers and the Government to cope with climate change. 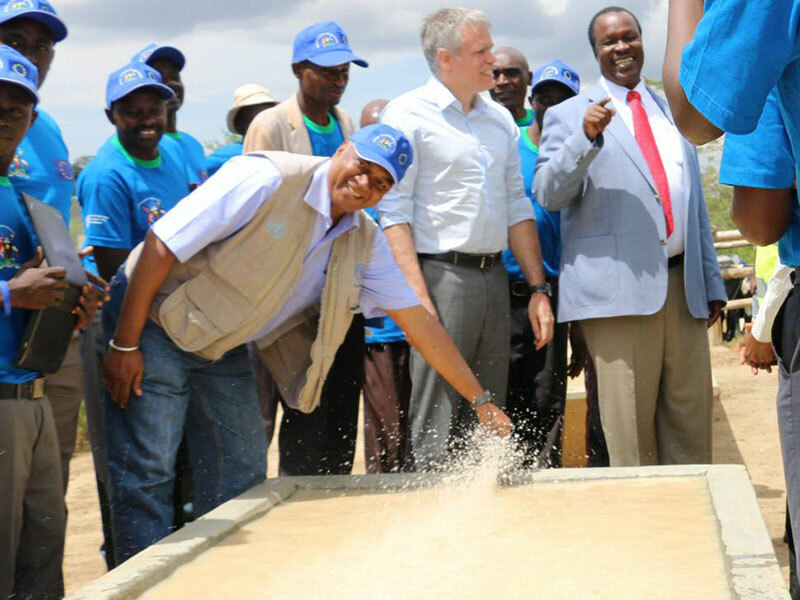 The initiative, funded by the European Union with support from the Irish government, was implemented by FAO in collaboration with the Ministry of Water and Environment, Ministry of Agriculture Animal Industry and Fisheries (MAAIF), farmer groups and district local governments of the central cattle corridor districts. The initiative is part of the Sh16 billion that helped construct the 15 new valley tanks and renovation and rehabilitation of five old valley ones, each with a capacity of 10 million litres. 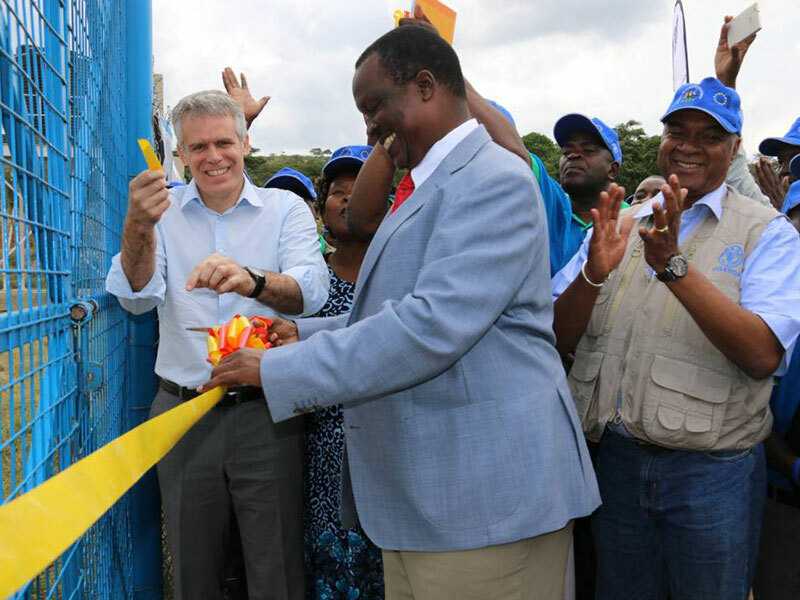 The Minister of Water and Environment, Sam Cheptoris, commissioned the facility on Wednesday, said it will provide improved access to water, allowing communities to generate more income and reduce poverty, as well as saving time and labour for children and women in watering animals and fetching water. 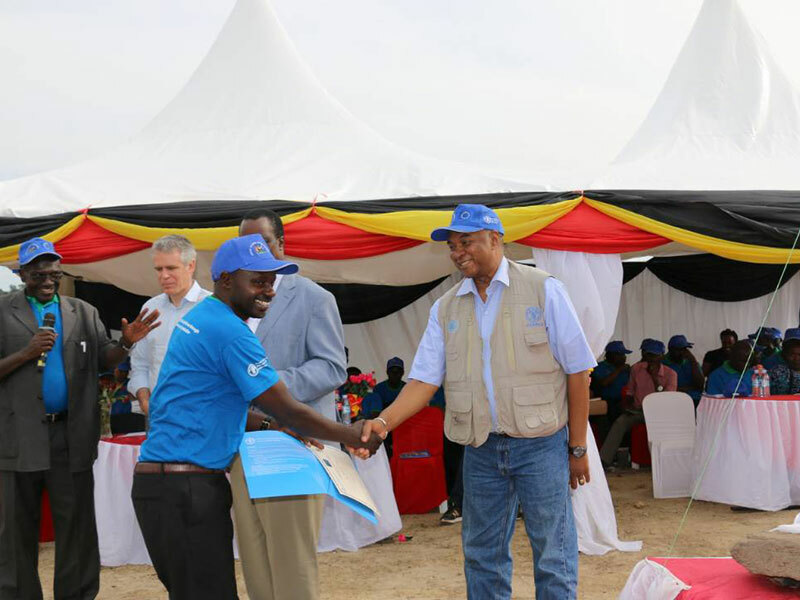 “The cattle corridor districts experience endemic water scarcity which not only limits livestock production but also encourages nomadic pastoralism leading to spread of diseases and impacting negatively on the environment and people’s livelihoods,” the minister said. It is estimated that 60 percent of the pastoral households in the cattle corridor, which stretches from the South Western to the North Eastern regions of Uganda, lack water for domestic and household use as well as for crop production. In response to these challenges, GCCA’s Agriculture Adaptation to Climate Change project was adopted by the Government through the Climate Change Department and Water for Production (WfP) Department at the Ministry of Water and Environment to strengthen the resilience of rural populations, cattle keepers and agricultural production systems and build the capacities of the communities and commercial farmers to cope with climate change. 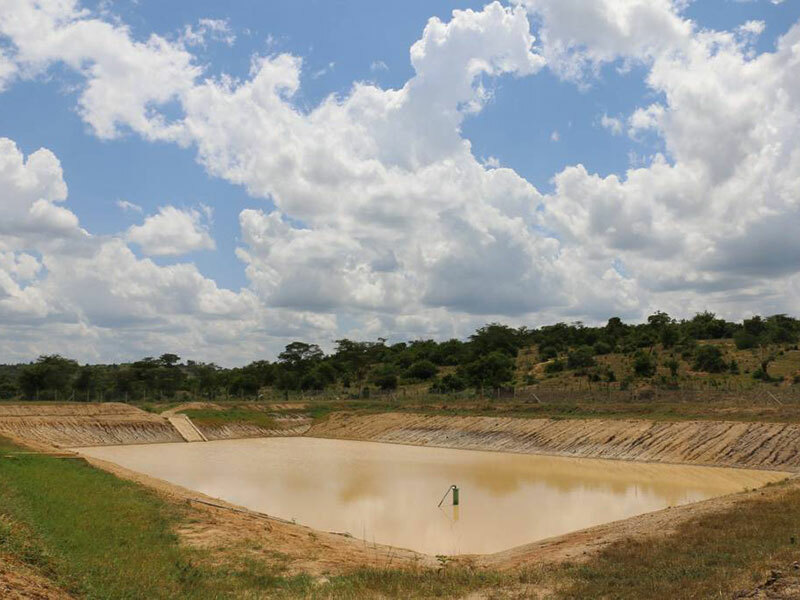 According to FAO country representative Alhaji Jallow, the water facility will directly benefit close to 40,000 head of cattle with year-round access to water. “This will positively impact the resilience of agriculture production system in the cattle corridor and help in abating the predicted consequences of climate change like a 50-percent reduction in livestock and in milk and beef production by over 42 percent by 2080 if there are no efforts to improve water and pasture availability,” Jallow said. He assured the acting Head of Cooperation of the European Union to Uganda, Cédric Merel, that the support created a deep foundation to adapt to the climate change and will aim at uplifting the communities. Merel reaffirmed the EU’s commitment to combating the effects of climate change. “Addressing climate change provides countless opportunities to invent new and better ways to produce and consume sustainably, invest and trade, protect lives, jobs assets and livelihood opportunities for the benefit of the planet and the people living on it,” Merel said. Climate change in Uganda has been manifested through unpredictable, intense and at times extreme weather events such as drought, floods and landslides. Recent drought and prevalent siltation of the valley dams and tanks have contributed to increased water stress in the livestock sector, increasing travel distances to water resources and overgrasing around the few water sources. The cattle corridor is the most affected part of the country with inherent water and pasture scarcity, yet it accommodates over 80 percent of the ruminant livestock population in Uganda. The four-and-a-half-year GCCA project, whose implementation started in 2012, builds on existing initiatives in the area of climate change. It was organised around three results; Strengthening knowledge for climate change and adaptation capacity, better access of livestock and crops to water through water for production investments and to improve on the resilience of agricultural production systems in the cattle corridor.